Following on from the success of the Stromness THI, I was invited by Orkney Islands Council to be part of the team which prepared a successful bid to establish a Townscape Heritage Initiative in Kirkwall. The THI commenced at the end of 2014 and offered grants to building owners in Kirkwall's Conservation Area. For more information visit Orkney Islands Council's website. 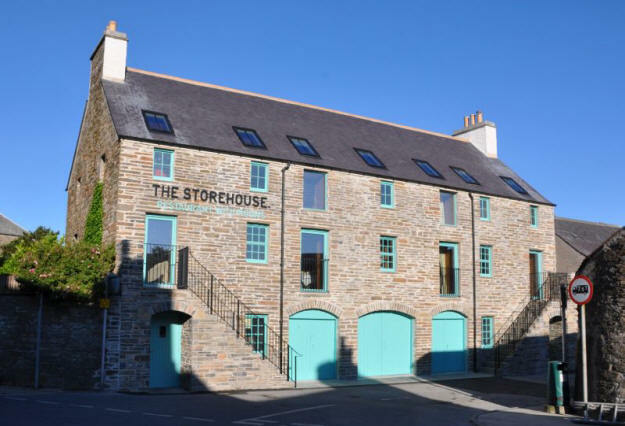 I acted as architect for the restoration of the Storehouse, as well as for work to Starlings, Hourstons, Bruce's Stores, The Blue Door and 2 Broad Street.